I can hear the gasps. How perfect right? Those books that leave footprints in our hearts. Those books that leave lasting impressions, making us better for having read them. Then I started thinking about the amazing authors who gift us those books. Peter Reynolds. Heartprint author. Heartprint books. His books not only touch our hearts, but they teach us life lessons too. They also leave a lasting impression on our learning communities. We all know these books because they are in our classrooms, on our bookshelves and for many of us, they are the read alouds that start off our year. They help us set the tone for our community of learners. Ish: Take risks, trust in the process not product. ——Think outside of the box. Ish allows us to celebrate the process and not the product. We want our students to take risks and to live life “Ishfully” ever after. With Ish, we are reminded to celebrate our students’ uniqueness as well as our own individuality. Take risks, trust in the process not product. ——Think outside of the box. How will you be celebrating Dot Day? So Few of Me: Less is more. Sky Color: Imagine the possibilities. Dream big in many colors and anything is possible. I’m Here: “To the world you may be one person, but to one person you may be the world.” Reminding us that we are never alone. Heartprint books. Gifts to us all. You know when you read THAT book, that one that gives you the chills. You can feel it in your bones. You can’t wait to share with your students, friends…and if you are really nerdy, anyone who is within arm’s reach. Heartprint books. They touch our hearts. So powerful. 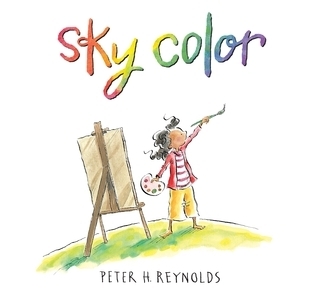 I am thankful for authors like Peter Reynolds for making a mark in our lives and our hearts. JoEllen McCarthy is a teacher and lifelong learner who spends her days working in K- 8 classrooms as a regional staff developer outside of NYC. She is obsessed with picture books, and continues to be inspired daily by the learning community she has found in the Nerdy Book Club. She is always learning and can be found on Twitter @imalwayslearnin. Thank you for reading and commenting on my post. I too love the term and am happy that you shared your list. The list is growing and I plan on posting a follow up. Thanks for adding to the conversation. Beautiful post! 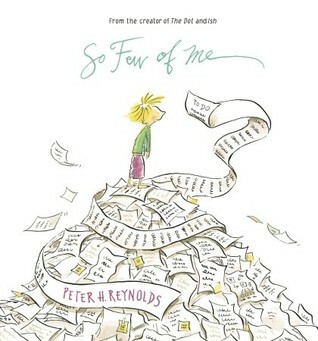 Oh, Peter Reynolds. Ish is absolutely a heartprint for me. The Absolutely True Diary of a Part-Time Indian. Story of a Girl. Winter’s Bone. The Phantom Tollbooth. Oh this could go on! What a lovely way to start today! heartprints are wonderful and a great way to start the day thinking about them!!! Thanks for reading and commenting on the blog. Love hearing from others about the #heartprint books that make their lists. Thanks, Priscilla. It is a great sentiment to think about how many books and authors continue to touch our lives and our hearts. And so, my friend, it was great opening up AOL to see this blog post. Congratulations! I am placing the information in the Members in the News section of the LILAC Newsletter. JoEllen McCarthy is a guest blogger on The Nerdy Book Club blog, #nerdybookclub: http://wp.me/p21t9O-18k . “Heartprints” is a must read. Let’s talk about the Boston trip when you have a chance. Thank you for the kind words and support. I am honored that you want to share the link. Looking forward to NCTE and continuing to learn together. Excellent post. 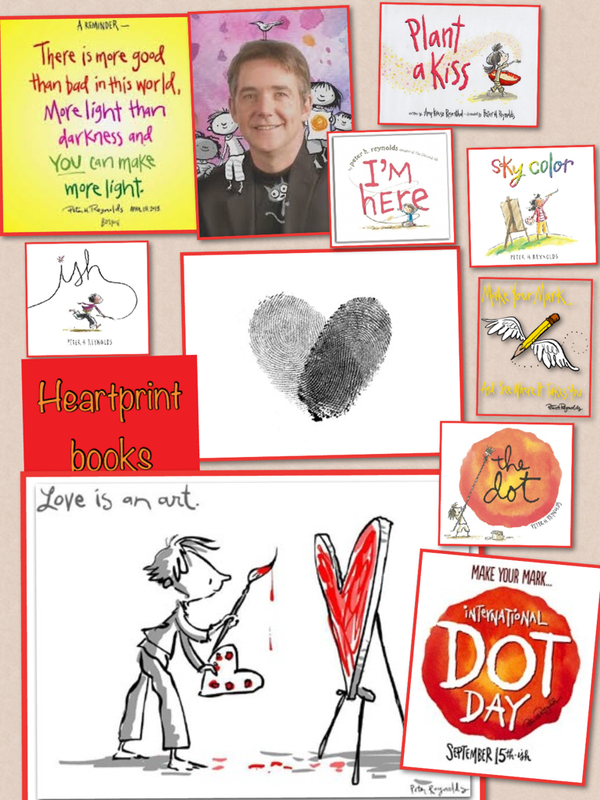 Peter Reynold’s books are all heartprint books. Simplicity with a lovely message of encouragement for children. Have you read The Museum by Susan Verde and Peter Reynolds? Another book about heart. Thank you for your comments and for the recommendation. I will definitely get The Museum. I am also working on a list with suggested titles of other #heartprint books. Will post soon. Anne Holm’s book, I am David and Roseanne Perry’s story, The Heart of a Shepherd. Thanks for taking the time to read and comment on my post. I am excited because I am not familiar with the titles you shared. I look forward to checking them out. Thanks again for adding to the conversation. Thanks for this post! Because I’m currently drafting a post about Frog and Toad Together, I’m going to nominate any and all books by Arnold Lobel 🙂 I love Peter Reynold’s putting the dream big, inspirational message front and center in his work. But, the joy in discovering big things in simple, often slightly silly acts is Lobel’s genius, I think, and is one that I really appreciate. I look forward to reading your post about Frog and Toad. Arnold Lobel will be added to the list of #heartprint authors. His name has come up on the twitter feed too. Lots of people sharing with the hashtag #heartprint. Thanks again for commenting and sharing your thoughts about Arnold Lobel. Robert Munsch- I’ll Love You Forever tops my list. Others would include Miraculous Journey of Edward Tulane, Ruby Holler, Wonder…so many….. Wonderful! Thank you for adding your favorites. Oh, #thewonderofwonder!!! It is wonderful to think about the many titles and authors that touch our hearts and stay with us forever. How about a #heartprint titletalk? Thanks for reading and commenting on the post. I love #titletalk. It is a favorite chat to spend time talking about books and learning from Twitter friends. It is usually an expensive chat, but worth it -(a common nerdy problem) I like the idea of a #heartprint topic. Will have to check with Colby and Donalyn. Recent new #heartprint books: Bluebird, Journey, Hattie Big Sky (of course). Classic #heartprint books: Charlotte’s Web & Where The Wild Things Are. Thank you for commenting on the post. Thank you for being a great reading friend and always spreading book love. I am thankful for #nerdybookclub friends and the heartprints they leave behind too. Lovely post JoEllen! Someday is another #heartprint book – also probably a #grabatissue book. As Peter’s twin brother, who has shared the journey closely with him, even I stand in awe at his ability to express to much emotion & wisdom in so few lines & words. We are thankful to creative educators like you who are helping make sure his books do the good work of touching lives. Thank you for stopping by to comment on the post. I appreciate your kind words. I am in awe of the work you both do. Looking forward to celebrating Dot Day. Thank you for reading and sharing my post. Thanks for the recommendation. Visiting Feelings is now on my radar. I adore this post. Nicely said! Thank you. I am lucky to have such great #nerdybookclub friends. I am excited to see the list growing as others continue to share titles and authors that have touched their hearts. Working on a doc to share. 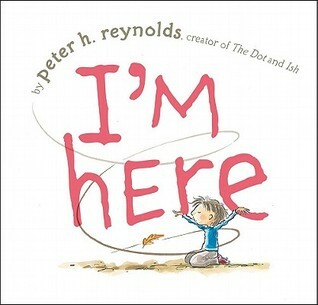 I heart Peter Reynolds. My students and I celebrate Dot Day every year and try to #heartprint others. Kate DiCamillo captures the heart with Edward Tulane. I am reading Wonder aloud to my students. This will be our new #heartprint book of the year. Agreed! Kate Di Camillo, RJ Palaccio, and Peter Reynolds are among the gifted and talented authors that definitely leave their marks. Thanks for reading and commenting on the post. I appreciate you taking the time and adding to the conversation. Happy Reading to you and your students. I just finished Hold Fast by Blue Balliett. Definitely a heartprint book. Thank you for sharing your #heartprint book. I have not yet read Hold Fast. Now on my TBR. Thank you and I will add to the growing list of #heartprint books. My current #heartprint books in the classroom are Ida B., Out of My Mind, and One by Kathryn Otoshi. Sometimes we have to fall to the depths to appreciate everything we have, and I think these books do a great job of showing that to kids.We all can struggle at times and it’s what do that makes us stronger. 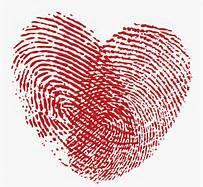 I love the term #heartprint and will be using it with my kids! And now I’m even more in love with that #heartprint tag.